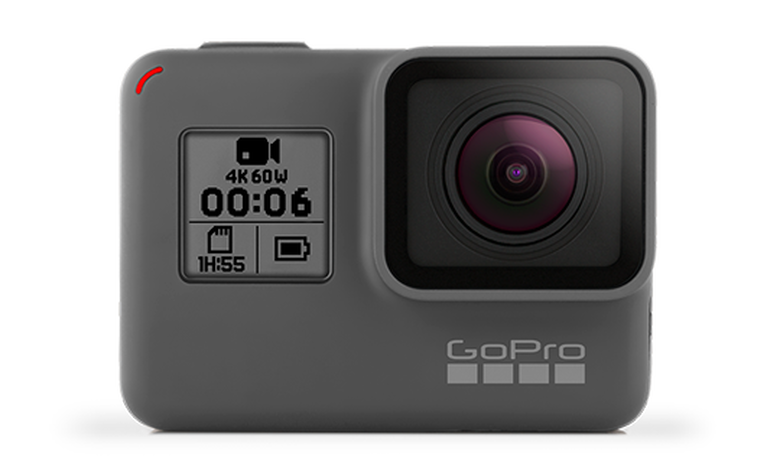 If you're thinking about an action camera, you've probably thought about GoPro — the brand is practically synonymous with the product category. One of its best cams, the Hero6 Black, is currently the lowest we've ever seen it at B&H, at just $249. The Hero6 Black has a 12-megapixel sensor paired with a wide-angle lens, and can shoot 4K footage at up to 60 frames per second. If you knock the resolution down, it can capture up to 240 frames per second at 1080p. It's waterproof up to 33 feet, too, so it won't get ruined when you take it whitewater rafting, or ocean bungee jumping, or whatever action-packed thing you're into. On top of the solid sale price, you'll likely save a nice chunk of change ordering from B&H, which doesn't charge sales tax for shipments to many states. It'll even ship today, if you get your order in by 3 p.m., Pacific (that's about an hour from now). Head over to B&H to pick yours up.